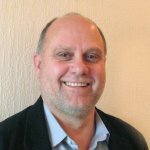 Graham is an organisational, business and personal development consultant, coach and mentor, who has worked with boards, chief executives and managers in the public, private, voluntary and social enterprise sectors. Prior to joining Eastside Primetimers he was a programme director at the London Enterprise Agency and Ashridge Business School, as well as a period running his own consulting practice. Graham has worked with a wide range of voluntary organisations and social enterprises across key sectors such as employment, housing, adult and children’s care, sport and leisure, learning disability, health, young carers, community safety and infrastructure. A small social enterprise supporting unemployed local people establishing their own small business where he worked to develop outcome frameworks and measurement tools for enterprise training and mentoring; the integration of tools into ‘Salesforce’ IT system enabling clients and tutors direct access, so creating efficient systems for monitoring and evaluation; the establishment of financial performance measures and ROI; and the production of annual impact report. A regional charity delivering a range of services for vulnerable adults and children where he developed a common organisational outcome and impact framework; frameworks and measurement tools for specific services – young carers, care navigators, disabled children’s care and transition; the integration of financial measures; the integration of frameworks into new contract bidding and delivery; and staff development to embed approaches. A VCSE infrastructure organisation where he developed an agreed logic model for outcomes and impact; then outcomes and impact frameworks for young people’s services and volunteering brokerage; and associated measurement tools. A not for profit child care provider where he developed outcome and impact frameworks for early years childcare, children’s centre families services, parents and children and food bank services; and helped prepare the organisations first impact report. Two leisure trusts looking to expand and develop their services through social investment, requiring financial modelling, options appraisal, management development and impact measurement support. Graham has been a trustee and board chair for a large charity for adults with learning disabilities as well as an NHS community trust governor.